On Monday, America marked 16 years since the terror attacks that murdered over 3,000 people. While we all remember the fallen and their families, we also marked the occasion to remember the courage an bravery of our first responder as well as American citizens who answered the call of heroism that day. 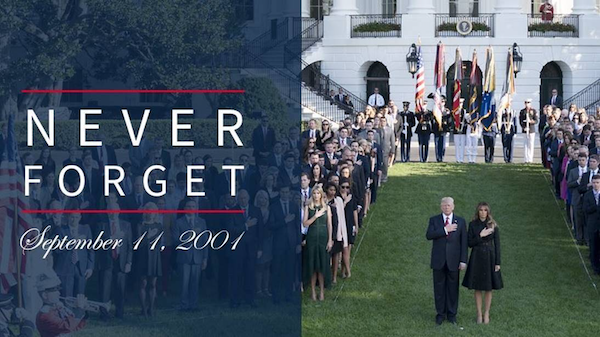 At a commemoration, President Trump said, “Our eyes were opened to the depths of the evil we face but in that hour of darkness we also came together with renewed purpose. Our differences never looked so small. Our common bonds never felt so strong.” Americans today remain steadfast in our commitment to liberty, to human dignity, and to one another. And we will never forget September 11th, 2001. President Trump and Vice President Pence traveled to Florida to meet with our great U.S. Coast Guard, FEMA, many of the brave first responders, and the people affected in the wake of Hurricane Irma. 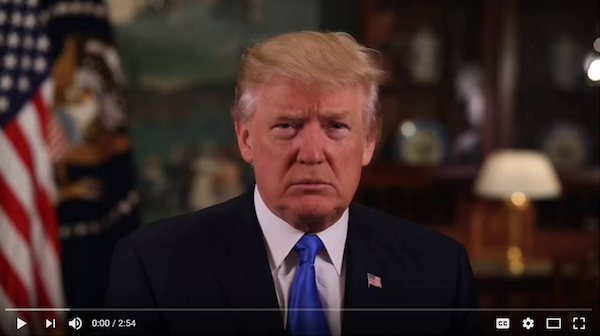 These are storms of catastrophic severity, and President Trump is marshaling the full resources of the federal government to help our fellow Americans in Florida, Alabama, Georgia, Texas, Louisiana, Tennessee, Puerto Rico, and the U.S. Virgin Islands, and everywhere in between. We encourage Americans to support disaster relief efforts in any way they can. 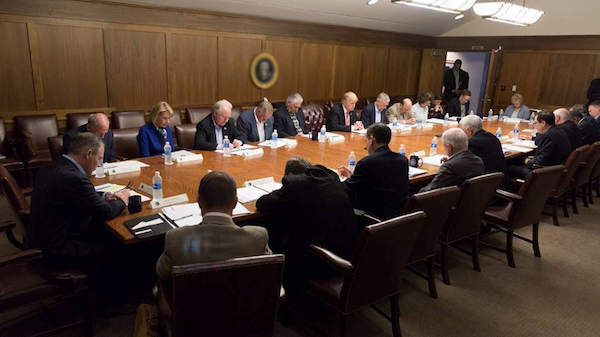 This week, President Trump met with Republican and Democratic Senators to discuss tax cuts and TAX reform for the American People. The President asked the bipartisan group of Senators to work together to deliver tax cuts for American families, which is essential to economic growth and prosperity. 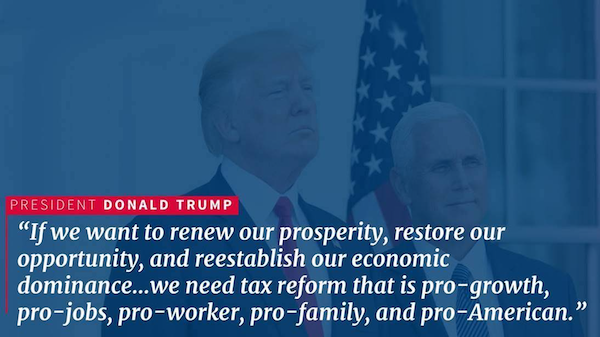 President Trump’s vision will create opportunity and prosperity for millions of Americans. The President is committed to pursuing an economic policy that lifts up all of our citizens, provides hope for all of our communities, and generates wealth for everyday hardworking people. In the coming weeks, we will see the President continue to travel to 13 total states to campaign for tax reform, and he has made it clear that he will focus on uniting all parties that are willing to work with him to get the job done. 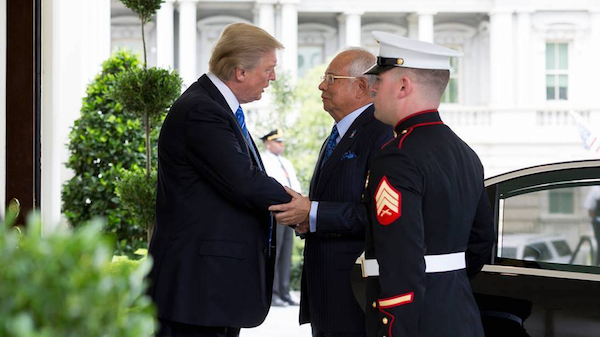 President Trump hosted the Prime Minister of Malaysia this week. They discussed important trade deals, including prospective billion dollar deals for Boeing jets and General Electric engines that would create thousands of jobs right here in the USA. The President thanked Prime Minister Najib Razak for Malaysian investments in the United States and for being a strong ally in the fight against ISIS and all terrorism in the world. 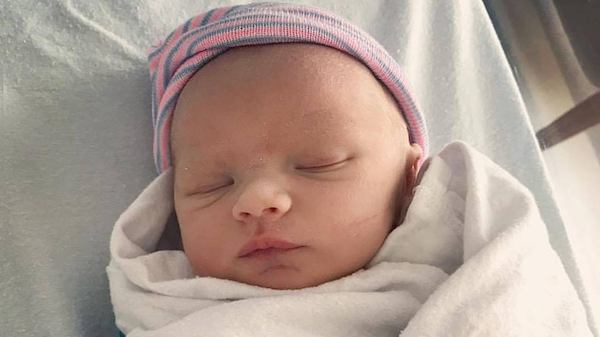 We want to congratulate Lara and Eric Trump and officially welcome Eric “Luke” Trump to the world. President Trump’s ninth grandchild was born 8:50 AM on Tuesday, September 12th. We’re excited to welcome our newest member to Team Trump!